Postcard US-2640210 from North Carolina shows the Angus Barn at Raleigh, NC, just minutes from the RDU airport. The restaurant prides itself on rustic elegance, featuring certified Angus beef aged in-house, fresh seafood delivered daily, and more than 1,500 selections of wine from around the world. Showcased on both sides of the wine cellar, customers may choose to dine in one of the two Renaissance style gourmet dining rooms. 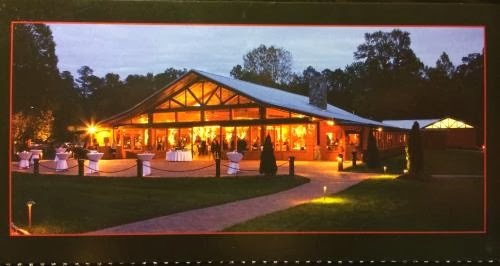 It also has a lakeside Pavilion for weddings and other private events.